Current Credit Card Bonuses vs Past Highest Bonuses - Apply Now or Wait? Current Credit Card Bonuses vs Past Highest Bonuses – Apply Now or Wait? Timing the right moment to apply for a new credit card for a lucrative signup bonus is always a gamble–bottom line is that you always want to get the best offers. Period. It can even get more complicated when applying for multiple credit cards at a time, at which point you just have to choose which top current offers you want to go after. For this reason I don’t always stick to a strict time period when launching a new round of credit card applications. Instead, after the typical 91 days application period cycle is over, I wait for a new mega bonus or targeted bonus offer to pull the trigger. With this strategy I assume I am at least getting one or more of the year’s best offers. Almost all mile and point credit card offers tend to fluctuate over time, some more than doubling from the lowest offer to the highest. In some cases you can earn the card’s bonus multiple times, but the obvious motive is that you want to maximize the amount of miles per hard credit inquiry. Most popular cards tend to bounce back and forth from a standard to mega-bonus offer, however usually the timing between the bonus increases is unknown–and in some cases only offered the highest bonus once. Do you want to maximize the number of round trip economy flights OR would you rather have fewer premium cabin flights? What award regions you you plan on traveling to? How is award availability on certain airlines? The two major airline alliances—Star Alliance and Oneworld—and their numerous airline members can just about fly you anywhere in the world. You will likely find that you can fly to every place you would like to book, but there are better uses for each airline program. For example, Star Alliance has many more destinations with their partner airlines with flights to Southern South America (Patagonia region). The bottom line is that having miles that can take you to destinations high on your list and are easy to book make them much more valuable. Grab the highest credit card offers when they are around! 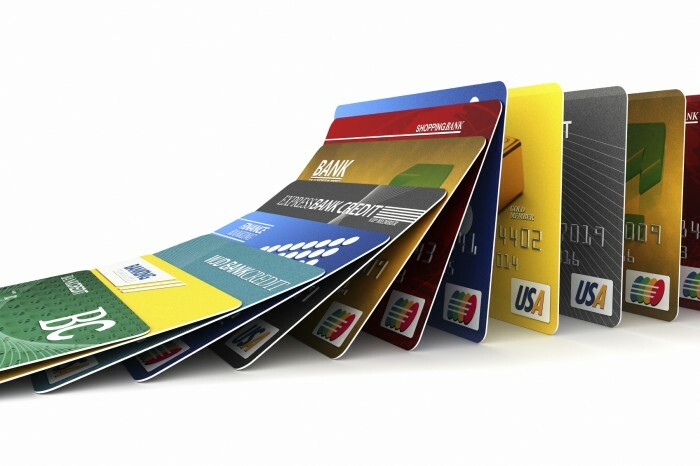 The first thing to look into when choosing which credit cards to apply for is the current sign-up bonus offered. Like I said above, many of these sign-up bonuses differ by as much as 100%, so it could easily mean earning double the miles if you apply at the right time. If you know there is possibly a better offer in the future, it may be worth holding out on applying until the better offer is available. This chart shows current offers for most major point and mile cards in comparison to the past highest offer on the card. We usually only see all-time high bonus offers once in a blue moon, offered several times a year, and in some cases some are never offered again. For instance, several years ago we tended to get more 100k offers across various cards, but today we only see that amount of points offered on a few cards. These are the types of offers that disappear fast so you have to jump on them. They’re also the the types of offers that are worthy of an impromptu application. If you have been around the game long enough you know that there is little rhyme or reason for when mega-bonus offers are released. Some come around the same time every year, others pop-up seemingly randomly. One would like to think that credit card companies launch these offers when they need to increase the number of applications or in attempt to increase market share, but in reality, who knows. That doesn’t mean that we won’t see some all-time high mega-bonus offers again in the future, but for this to happen I think the banks need to be hungry—and a fair amount of competition. For instance, when Barclays arrived to the US credit card scene it was only good news. Not only did they offer several new valuable credit card offers, but also aggressively marketed and lured customers away from Chase, Citi, and Amex—and possibly making them rethink their strategy. Hopefully you can use this list to gauge where current offers stand compared to past best offers and decide whether or not to apply for a current bonus or wait it out and see what’s around the corner. And let’s hope that we continue to see lucrative sign-up offers. Hi Hokie36, I made a sharable version in Google docs here, check it out and feel free to add info! Awesome article! I’ve bookmarked it for future reference. FEV7, glad you found it helpful and for bookmarking it! I have been waiting for someone to post something like this! Of all the points/miles bloggers, you make the BEST charts. Thanks! Tiffany, thanks! I thought it would be a great resource and will keep it updated. Glad you found it useful!